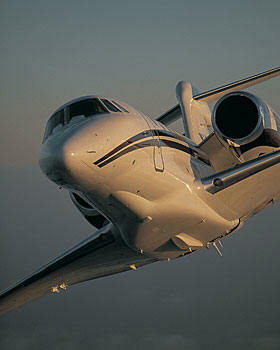 The Citation Columbus was formally launched about one year ago and is planned to enter service with customers in 2014. The Citation CJ4, the newest member of the popular CJ series of light business jets, is well into certification testing and is expected to enter service early next year. The SkyCatcher Light Sport Aircraft is nearing final ASTM compliance certification and deliveries are planned to begin later this year. The $780 million Citation Columbus development program is comprised of both aircraft development and manufacturing facilities construction. On the aircraft development side, Cessna and its design team have more than 850 employees working Columbus design tasks. Additionally, other supplier employees are working on engine and avionics tasks for the intercontinental, large-cabin business jet. Meanwhile, facilities work continues at full pace in Wichita where the new Citation Columbus assembly facility is located.